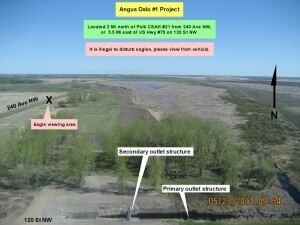 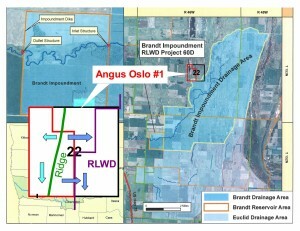 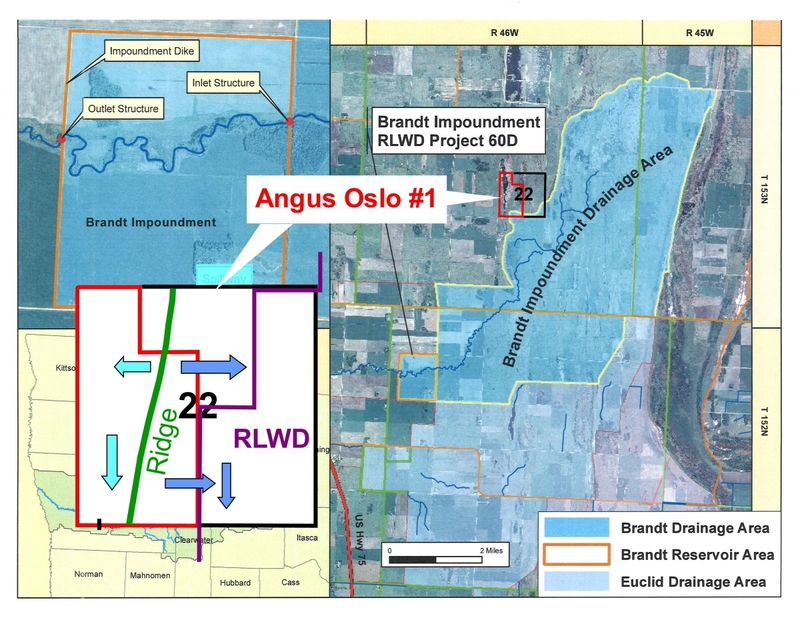 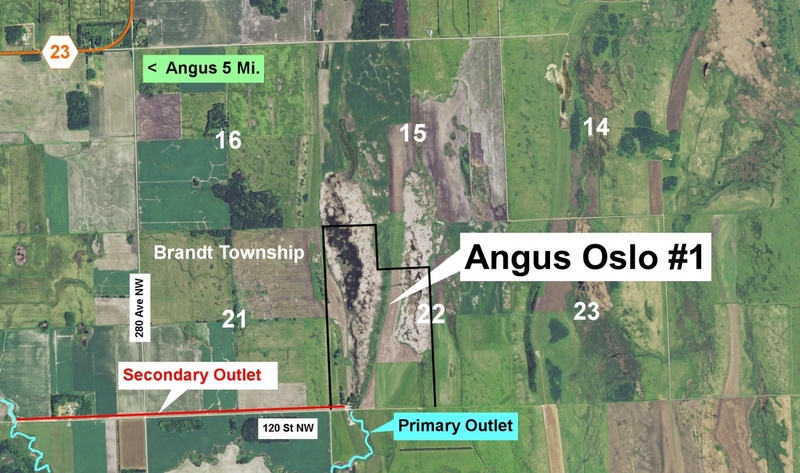 The Board of Managers of the Middle River Snake River Watershed District (now the Middle Snake Tamarac Rivers Watershed District) established the Angus Oslo Site #1 Impoundment in 1982. 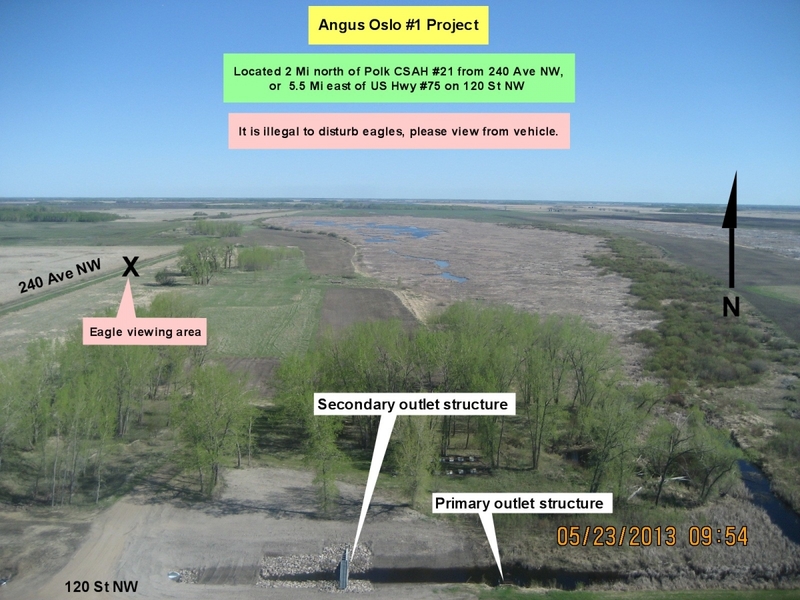 Primarily a flood control project, Angus-Oslo #1 also provides incidental wildlife benefits. 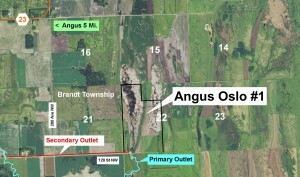 The project included land acquisition, inlet ditches, and construction of the outlet structure. 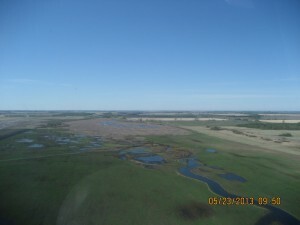 The affected area includes a wetland area totaling approximately 125 acres and approximately 145 acres of cropland. 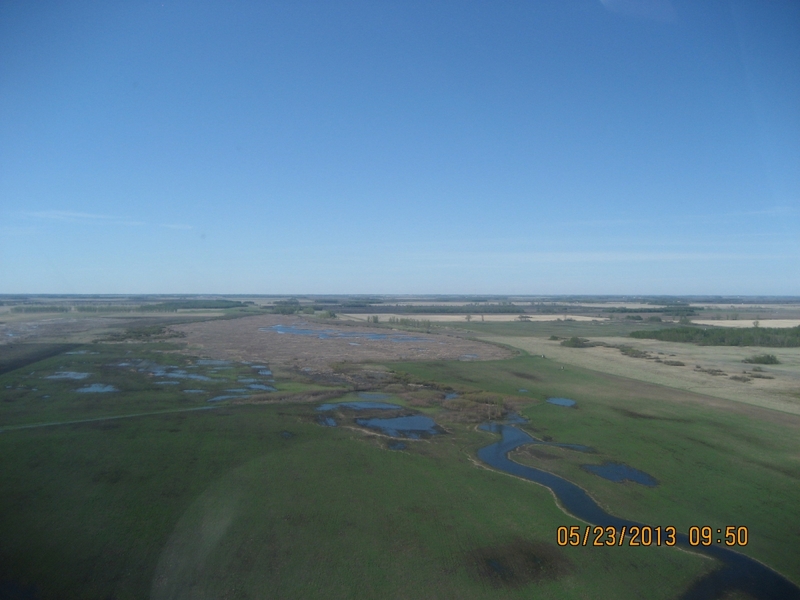 Completed in 1983, the $152,000 project was funded by the Legislative Commission on Minnesota Resources (LCMR), the Red River Watershed Management Board and the Middle River Snake River Watershed District project fund.